In the holiday between Christmas and New Year, we travelled to the Black Forest region to explore. 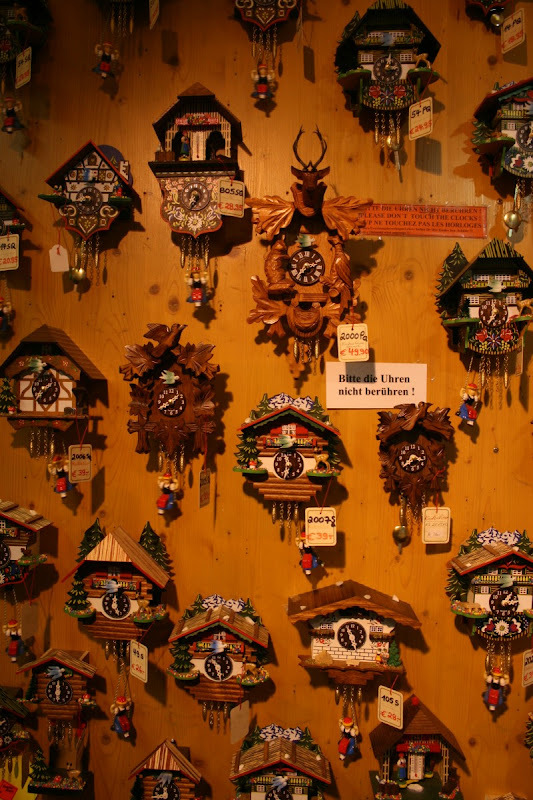 If you're anything like us, the phrase "Black Forest" conjures a couple of mental images: cake, fur trees, and of course, cuckoo clocks. We also expected the region to be buried in snow, but we were wrong there. It was cool and rivers were full, but we only saw a few wisps of snow. The trip turned out to be better than I expected - there are a lot of interesting sights in the area. We based ourselves in Karlsruhe, which was probably the least exciting option, but it was central for travel and saved us some money.